10 Wordpress Plugins New Bloggers Need to Install - What's up Blogging? You are looking to make money working from home as a blogger. Awesome. Chances are you know that you have what it takes to hack it as a professional blogger and have taken the steps necessary to start a blog the right way. If you haven’t set up your blog yet, you can learn how to start a blog here. Then come back to this post so you will know what recommended WordPress plugins you should install on your new beautiful blog to help it be successful. The following WordPress Plugins are all plugins I currently use on my blog and love! They each serve an important purpose to keep my blog running without hackers or glitches as well as to make it easier to share and gain pageviews. You need to protect your website from hackers and from bugs. This plug-in alerts you of people trying to login to your dashboard, and can block them after too many failed attempts. It also lets you know of issues with your site, like plug-ins that need to be updated. I don’t totally understand what a Cache is or why I need this plug-in, but my web host told me to install it because it would help my site run faster and better by regularly caching my content. This plug-in helps your site run faster and smoother by compressing, or smushing, your images. Because images are one of the biggest things to slow down a blog, this helps keep your site speed up. 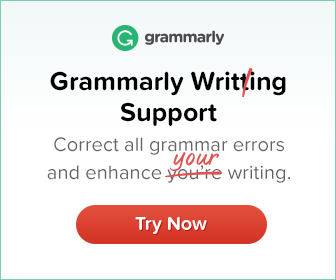 If you hate spam comments, which you do, this is a great plug-in to automatically send spam comments to the correct location – the spam folder. No having your visitors decipher numbers and letters and typing them in, and no needing to manually approve or deny comments. This plug-in works very well for me. Occasionally a spam comment will come through, and occasionally real comments will be marked spam. I make it a point to occasionally, and regularly, check through my spam comments to see if a real comment ended up in there. I highly recommend this Plug-In! If you want to have a post that does well on search results, this plug-in will help you do it, thanks to its “Page Analysis” tab and green light. But, even if your post doesn’t rank for anything, the plug-in let’s you specify your meta description, or what will show up under your search results as well as on social media. However, if you want/need to, you can specify what description will show up for Facebook and Twitter, as well as specify what image (horizontal) you would want shown on those channels as well. I have tried out far too many social share buttons, but SumoMe is my latest find and I have no intentions of swapping them out anytime soon. You can easily select where you want the social sharing icons to appear on a post and on certain pages. You can elect to have number counts or not. I especially love that you can put the sharing buttons right on images, encouraging more people to pin or tweet. They also have other lots of other cool features like Heat Maps! Definitely recommend! It took me a while to realize this, but when I took the time to reply to the awesome comments (yea comments!) I received on my blog, the person I replied to was never seeing my comment back! This little plug-in fixes that. Engagement is important. Install this. Since you intend to have a money-making blog, this little plug-in will come in handy. Every time you link to a product or website that you were either paid to place, like for a sponsored post, or could earn you income, like from an affiliate, you need to make that link rel=”nofollow”. Instead of switching to the text html for your post and manually adding in that rel=”nofollow” in the correct spot, this plug-in makes it so when you are adding a hyperlink, all you have to do is click a little box in the hyperlink popup that says “Add rel="nofollow" to link”. This is my favorite related posts plug-in that I’ve used. You can easily edit the posts that show below your posts when viewing the post, but it does a great job naturally grabbing related posts, so you don’t usually need to change them, unless you want to. It has yet to crash on me or stop working (like another related posts plugin did). However, I do not recommend submitting your content to their network. I also never use the “Related content by Zemanta” bar that shows up in your post editor. Don’t love that feature, but otherwise great! I don’t use this plugin that often, because I don’t usually have too many posts scheduled out at once, and I also use a paper calendar to pencil in posts. But this plugin helps you keep track of when posts are scheduled and going out. This is especially a great plugin if you run a blog that has multiple contributors. It allows you to keep everything organized. To install these recommended plugins on your WordPress blog, go to the Plugins tab at the left of your dashboard. You can either search for the plugins listed above, or you can upload the zip files of them if you first download them to your computer. I find it much easier to just search for the plug-ins and then click install than downloading and uploading. The plugins will automatically go active when you install them. 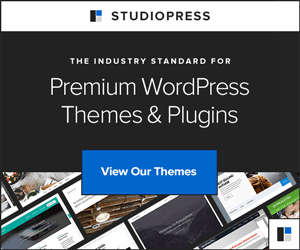 Some will then appear on your left-hand column on your WordPress dashboard, or appear under “Settings.” You will need to customize several of the plugins I mention to fit your needs and how you want them to work for you. And after your plugins are all installed, you’ll want to clear your cache (with the W3 Total Cache plugin). It should prompt you at the top of your dashboard to do that. You can always deactivate or delete a plugin from the Plugins tab on your left-hand column on the WordPress dashboard. You will also see if a plugin needs to be updated from that tab as well. Or you can update all of the plugins that need updated by clicking on the little arrow circle at the very top of your dashboard, right next to your blog’s name and comment icon. Keeping your plugins updated is important to helping your site run smoothly and avoid crashes. 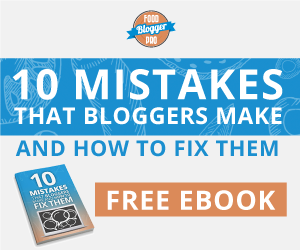 These plugins will help you have a better, more professional blog! What are you recommended WordPress plugin for bloggers just starting? This was helpful for me, and I’ve been on WordPress almost 6 months now! I have most of these, but I just installed the comment reply one and the nofollow one! Thanks, Katelyn!